Finally got around to swatching these, and I love all of them! They are really so gorgeous, the pictures don't do them justice, but I tried! Each swatch is three coats, no topcoat. If I had to pick a favorite of the bunch, this would be it. The base is kind of a dark, prune-y color and it shimmers plum and sky blue. There can also be some orange or green tones, depending on the light and angle. 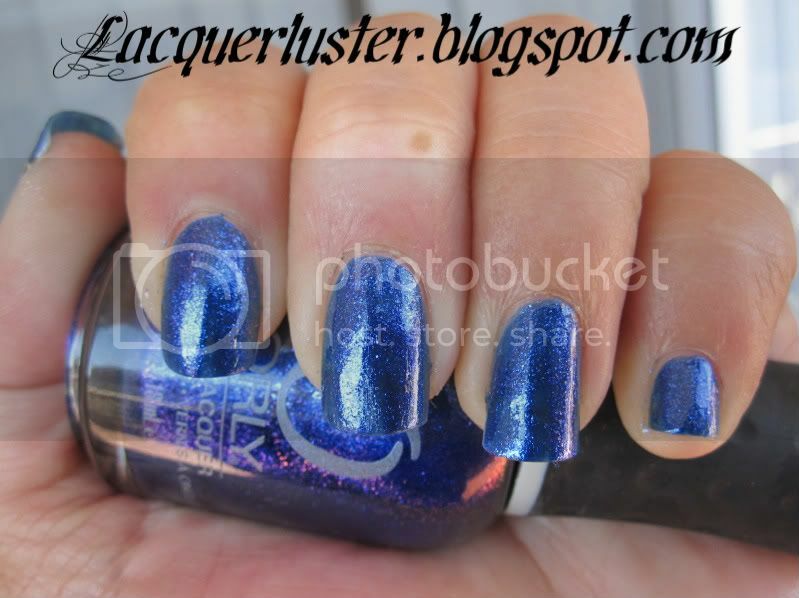 This one is a beautiful royal blue with purple duochrome and sometimes you can see some orange. I'm guessing this is going to be one of the most popular colors. The base is kind of a goldy green with a champagne pink duochrome, but it could look more yellow or orange, or even almost lavender. 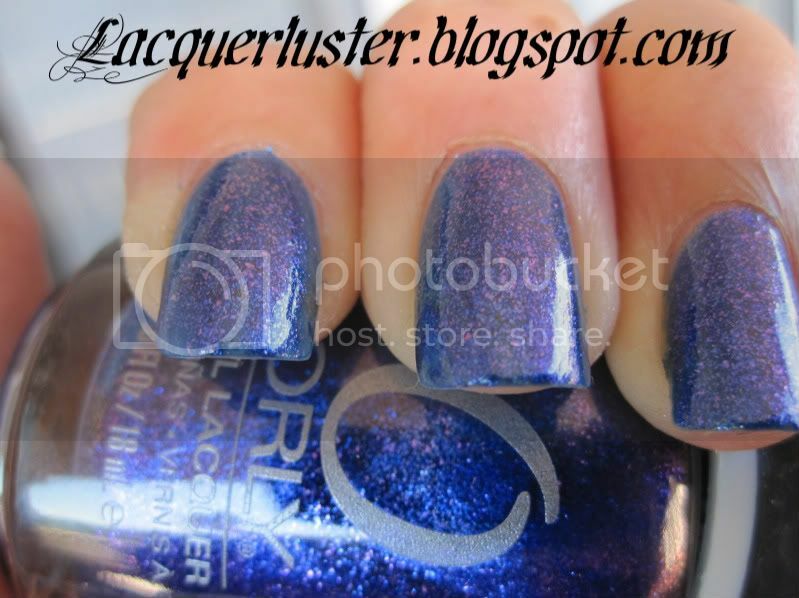 The duochrome in this one seemed the strongest (or multi-chrome). 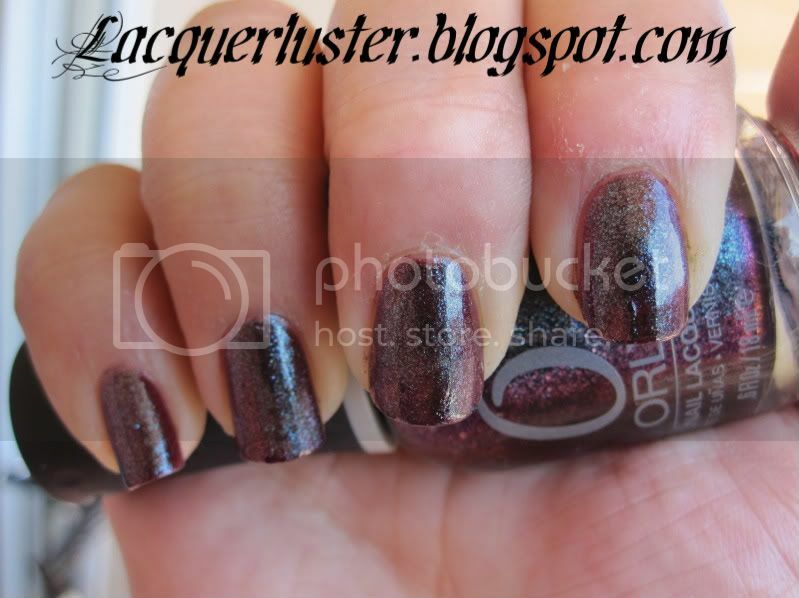 This one was a blackened purple base that shimmered purple and orange-yellow, although the duochrome was pretty weak. It mostly shows up as a very pretty, interesting purple. 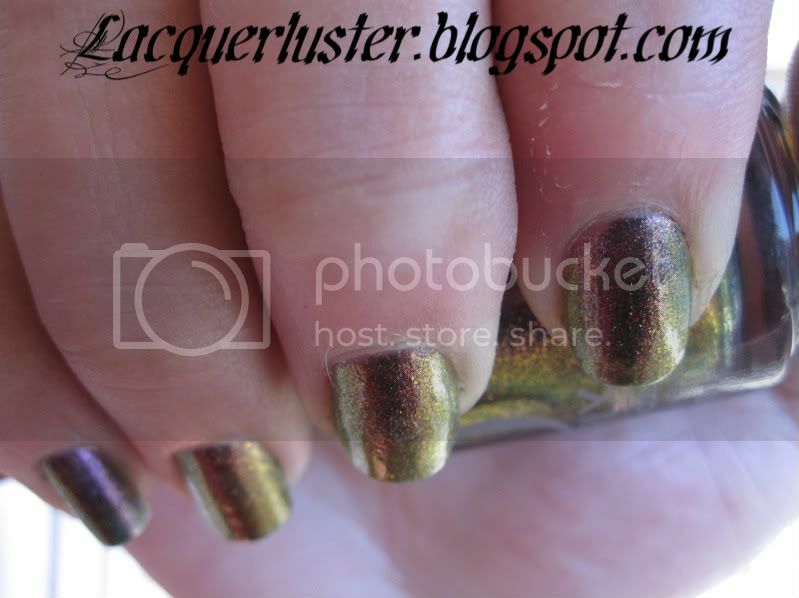 The base on this one was kind of a dark olive, with gold-green shimmer and apple green duochrome. This one was also pretty weak, but a very cool and unique color nonetheless. This one is a gorgeous, bright teal with yellow-green flash. I don't know if this one is technically a duochrome, but it still holds its own in this collection. Perfect "mermaid" shade. I can't say enough about these! All the shades are shimmery and glittery at the same time. It seems like they are filled with small flakes, so although they look sparkly, they are smooth to the touch. I think I topcoat would really bring these out more, but they are awesome on their own as well. With every color, I couldn't stop staring at my fingers. Each color is really complex and interesting, and I just loved tilting my hand at different angles in the sun to see what other colors would show. Application was mostly great, although Space Cadet could have used another coat. Drying time was pretty short. Highly, highly recommend these! I love Lunar Eclipse, Out of this World, and Halley's Comet. Space Cadet and Out of this World are my favourite. =D Flakies and dark, dark purple!! You really can't go wrong with any of them! Thanks for the comments!